T-Mobile announced yet another “Uncarrier” move this morning. This time, the company will be getting rid of its many data plans in favor of what it’s billing as a no-BS unlimited plan for everyone. But this isn’t quite the bottomless bucket of mobile connectivity it sounds like. Unlimited video at 480p or buy an “HD add-on” for $25 a month (Uhhhhh...no). So it’s not really unlimited. It’s unlimited with caveats. The two pain points here are mobile tethering and video streaming quality. Obviously, kneecapping tethering is an insurance policy against mobile users who use unlimited plans instead of paying for home internet. The second is an echo of T-Mobile’s BingeOn promotion, which some think violates Net Neutrality rules, as part of the carrier’s current Simple Choice plan. With T-Mobile’s new plan, it isn’t an option but a default feature. Without buying the HD add-on, video streaming will be permanently capped at 480p resolutionwhile using data. With smartphone displays reaching 2k resolution, and in some rare cases 4k, that’s a real bummer. The worst part is that this will likely be the new normal for some carriers. Today, Sprint also introduced a similar plan that throttles video with no option to even upgrade to HD if you wanted to. For a certain mobile consumer, the T-Mobile One plan could do most everything you need. But the Simple Choice plan was undoubtedly a better deal. Thanks to month-to-month roll-over data, it was already somewhat difficult to hit your data cap on Simple Choice plans. You could also tether at respectable speeds, and switch video throttling on and off whenever you want. Sure, it wasn’t “unlimited” but neither is T-Mobile One, really. If you are a data hog, the new T-Mobile plan still hits a cap at 26GB a month. You’re then throttled to slower speeds when and where T-Mobile’s network demands it. T-mobile, I’m not sure ‘unlimited’ means what you think it means. If you’re already on T-Mobile’s Simple Choice plan, my suggestion would be to keep calm and carry on. 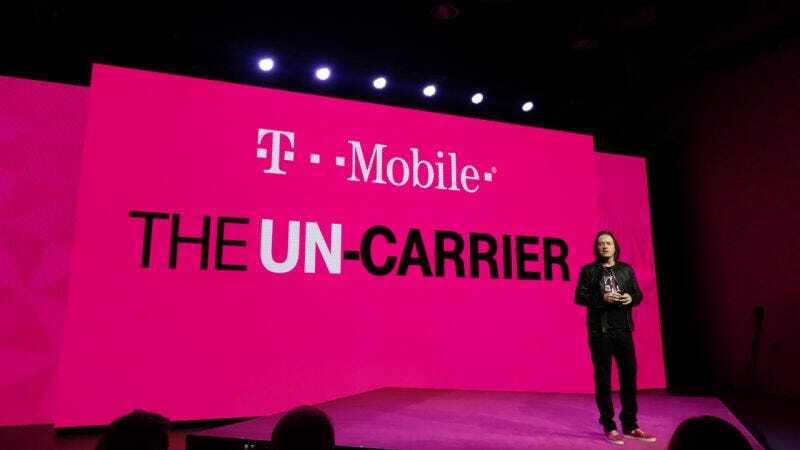 T-mobile told Gizmodo that its 2GB, 6GB, and 10GB Simple Choice plans will still be available as of September 6th for new customers, but the company will slowly transition to the One plan as its main offer. For would-be T-Mo customers, your unlimited options just got worse.